You’d think there’d still be a bit of news that caught my eye on the last day, but I only marked one interesting article from all the coverage I saw. Xbox One’s new Achievements system explained, time-based Challenges don’t reward Gamerscore, Griffin McElroy, Polygon, 6/13/13. I think what Microsoft (and by extension Griffin’s article) was trying to explain in too many words is that the Xbox One will have Feats of Strength like Blizzard games do. Terrific! These are especially fun. Nothing else stands out in my memory sadly. While I didn’t follow all the news super closely, I skimmed a lot of article titles and read some posts about E3. Of course, Reddit and Facebook couldn’t keep quiet either. Here’s what I took from the announcements. Microsoft didn’t alleviate any fears about DRM or used games. Games must be installed, publishers could allow you to loan it to one and only friend if they’ve been on your friend list for 30 days, publishers could allow you to resell it to authorized resellers, and you must be online once every 24 hours to play games at all. Publishers could blog trading and reselling entirely. Boo! The Xbox One will also allow you to stream gaming like the PS4 (but using Twitch.tv). Yay! Xbox Live Gold members will get two free games per month. The Xbox One will retail for $499.99. The Playstation 4 will allow you to sell games to resellers or another person. You can lend your games. Super yay! Playstation Plus required for online play on the PS4. Boo! The Playstation 4 will retail for$399.99. Plants vs. Zombies: Garden Warfare is a new third-person shooter in the PvZ universe. The trailer made fun of Modern Warfare and similar games. Yay! The Order: 1886 is a steampunk-looking exclusive for PS4 that looks really awesome from the teaser trailer. Yay! Mirror’s Edge 2 announced for XBO, PS4, and PC. Yay! Mirror’s Edge 2 is a reboot with new introduction story for Faith! Boo! Not a lot of big reveals, but I’m glad Sony confirmed being the good guys. In my opinion, the console wars are over for this generation. The PS4 is significantly better and only four-fifths the price. Other games were announced, but Garden Warfare, The Order: 1886, and Mirror’s Edge 2 are all games that interest me. I love the look of The Order: 1886, but it’s too early to know much for sure. I feel sort of relieved hearing Sony’s announcements about the PS4. It’s nice to know the difference, especially when it seems so clear-cut in my mind. I finally added a Microsoft account on my computer and downloaded software from the Microsoft Store. It was Minesweeper. I know it looks a bit different in that screenshot, but that’s actually because I put a theme on it. It’s annoying not being able to play it on top of other things thanks to the way the new interface works in Windows 8, and it’s also the first time I’ve consistently used software not in Desktop mode. But I did have a reason. It’s an Xbox game. It’s part of Xbox Games for Windows, which means it has achievements and leaderboards. This one also has additional medals and daily challenges. 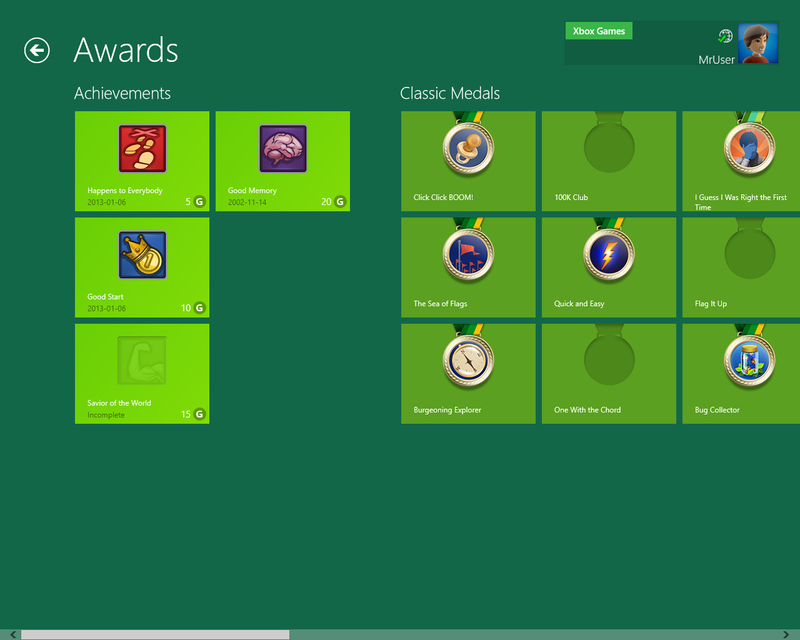 As far as I can tell, medals are basically achievements but don’t grant any gamerscore. Regardless, this was enough to entice me. There’s even a strange adventure mode. It’s basically the same but is skinned to look like an adventure game. Plus you earn extra points for picking up gold. Yeah, I really don’t know. It’s mildly amusing though. 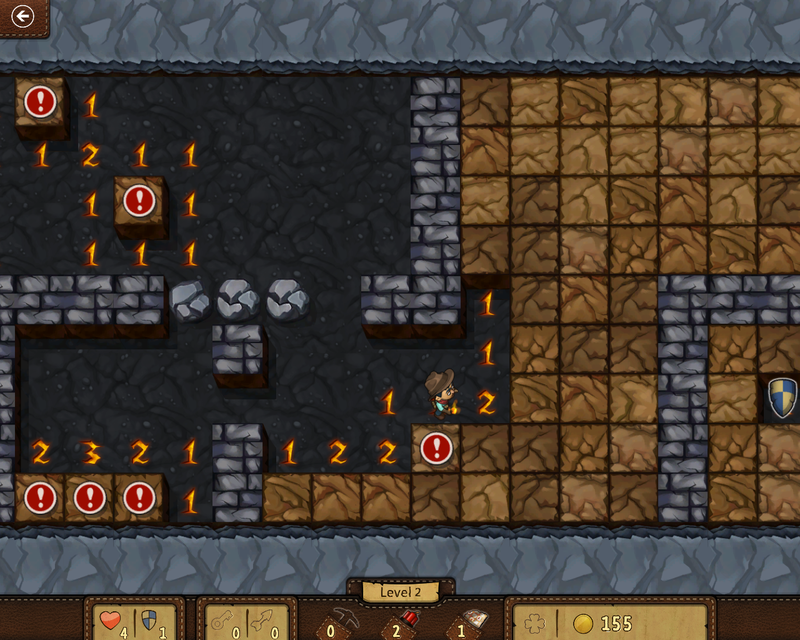 I don’t intend to oversell Minesweeper. 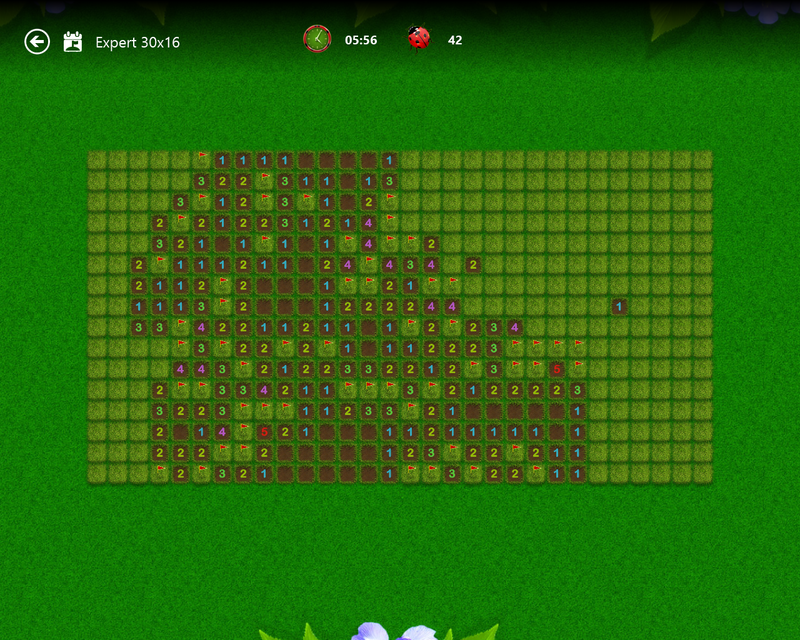 It’s effectively the same Minesweeper as always with some achievements. What’s more interesting is the idea of Xbox Games for Windows. I look forward to seeing more games come to Windows featuring leaderboards and achievements!